In the face of sin and separation from God, grace is a refreshing stream that restores salvation. 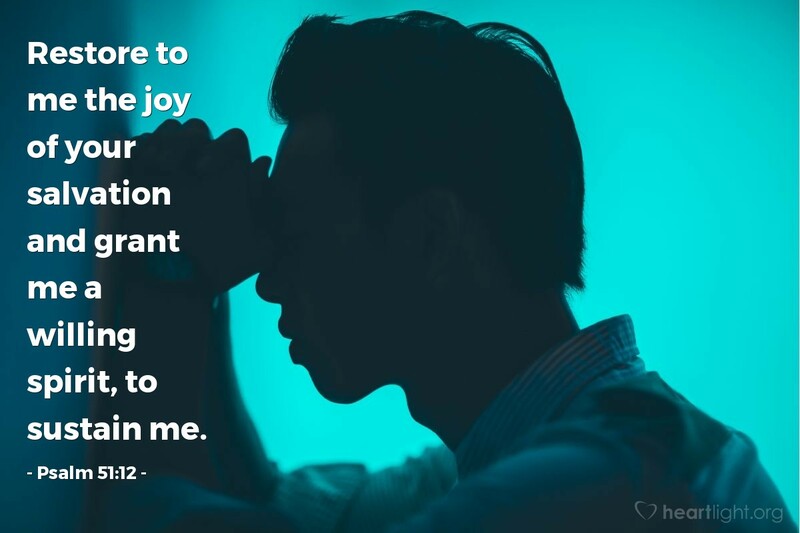 But the joy of salvation is found only when we realize and accept the forgiveness, grace, and restoration God has given us — when we drink from the stream of grace. The joy of salvation is sustained in a changed lifestyle and an ongoing recognition that we walk with God. Holy and Righteous Father, I long for the outbreak of joy in your salvation like I see in the book of Acts. I pray for your Spirit to lead us into another era of outreach, conversion, and celebration. I pray for wisdom to know and for eyes to see those around me who are most open to the Gospel. I want to be a partner with you in your ongoing work of salvation. In Jesus' name I pray. Amen.